Stake Chophouse & Bar. At this steak house you’ll find standard primo cuts (Japanese Wagyu and dry-aged bone-in rib-eye), but there are also seared scallops with beurre noir and market-driven sides like fire-roasted carrots with cumin and orange zest. Purists can relax—there’s still a wedge salad, upgraded. $$$; 1309 Orange Ave, Coronodo; or 619/522-0077. Clayton’s Coffee Shop. Fuel up with pancakes, sandwiches, and milkshakes at one of Coronado’s classic eateries. $; 979 Orange Ave., Coronado; 619/435-5425. Miguel’s Cocina. This Mexican eatery spills out onto the tiled courtyard of the Spanish-style 1902 El Cordova Hotel, dotted with shops. Try the shrimp burritos with the famous jalapeño white sauce, or the grilled swordfish tacos. $$;1351 Orange Ave., Coronado; or 619/437-4237. MooTime Creamery. This local gathering spot is a must for dessert lovers seeking a tasty cool down. Try the black raspberry ice cream mixed with chocolate chunks. $; 1025 Orange Ave., Coronado. 619/435-2422. Tartine. Start your day with a spinach, tomato, and gruyère cheese quiche or homemade granola at this European-style café. $; 1106 1st St., Coronado; 619/435-4323 or . Crown Room. Hotel Del’s restaurant offers a lavish Sunday brunch complete with a chilled seafood bar, regionally inspired dishes, international cuisine and carving stations. Sip on a bloody Mary bar, dig into freshly pressed paninis, or the housemade charcuterie. $$$; 500 Orange Ave., Coronado; or 619-522-8490. Primavera. Enjoy top of the line Italian food at this 20-year island favorite. $$$$; 932 Orange Ave. or 619/435-0454. Nado Gelato. Nothing beats authentic gelato after a day in the sun. They’ve got everything from hazelnut and mojito to pistachio and pear. $; 1017 C Ave. Coronado; or 619/522-9053. Brigantine Seafood Restaurant. Treat yourself to crab-stuffed prawns, grilled swordfish, and freshly shucked oysters. When in doubt go for the award-winning fish tacos. $$$; 1333 Orange Ave., Coronado; or 619/435-4166. Hotel del Coronado. You don’t have to be an overnight guest at the Del to get a taste of this glamorous spot, which has hosted presidents and movie stars and was the setting for the 1959 film Some Like It Hot. Try a sea salt exfoliation at the spa, sip margaritas at the beachside bar, or take a history tour and learn about (and maybe even see) the hotel’s ghost. $$$$; 1500 Orange Ave., Coronado; or 800/468-3533. Glorietta Bay Inn. No need to stay at the Del to enjoy all that it has to offer. Instead, stay across the street at this less-expensive non-waterfront hotel and visit for playtime on the beach, drinks at Eno Wine Tasting Room, a massage at the spa, or a bike ride along the beach with a cruiser from the on-site rental shop. $$; 1630 Glorietta Blvd., Coronado;or 800/283-9383. 1906 Lodge. Guests can enjoy a delightful bed and breakfast experience at this surprising gem. The restored hotel sits just a few blocks away from the town’s main thoroughfare, making it a comfortable, quiet option. $$$$; 1060 Adella Ave., Coronado; 1906lodge.com or 619/437-1900. El Cordova Hotel. Situated on the bustling Orange Avenue guests can enjoy the heart of Coronado, while digging into four restaurants and twelve boutique shops located on-site. Most of the hotel’s suites come with kitchen facilities, making guests feel right at home. $$$; 1351 Orange Ave., Coronado; or 619/435-4131. Hotel Marisol Coronado. Unwind in one of this boutique hotel’s fifteen rooms. This spot offers sleek rooms, complimentary evening wine, and a convenient location just a short walk from the beach. $$$$; 1017 Park Place; or (619) 365-4677. Bike and Kayak Tours. Rent a cruiser and bike along Glorietta Boulevard to peek at stately mansions; take the Silver Strand bike path along the bay; or pedal through neighborhoods to check out the cottage gardens. For an on-the-water perspective, rent a kayak at Glorietta Bay. $$$$; 1201 1st St; or 858/454-1010. Coronado Central Beach. This beach is broad and long, with sugary sand, stretches out from the Del. Farther afield, look for the dog beach and surfing spot toward North Island Naval Air Station, where you can watch fighter jets land. $; 919 Ocean Blvd., Coronado. Hotel Del Coronado Ice Rink. Visitors on winter vacations can soak up thousands of twinkling white lights as the Del’s Windsor Lawn turns into a rink just steps from the ocean. The scene: Newlyweds, families looking for blizzard-free winter vacations, and locals on date night. The inside scoop: Warm up with a cup of hot cocoa at the Coffee by the Sea snack shack, mingle with fellow skaters near the massive Christmas tree (the world’s first electrically lit outdoor tree, in 1904), or sing along to holiday music while you do laps around the rink. Open Nov.-Dec. $$; 1500 Orange Ave., Coronado;or 800/468-3533. Lamb’s Players Theatre. Sample the island culture with live, theatrical entertainment. The Lamb’s Players Theatre seats 350 in its restored, European-style Amphitheatre and puts on performances year-round in the ornate 1917 Spreckels Building. $$; 1142 Orange Ave, Coronado; or 619/437-6000. Ride the ferry. Debating whether to drive onto the island? Instead, take 15-minute ride from San Diego across the bay back to downtown Coronado. You’ll get gorgeous views of the bay, the San Diego–Coronado Bridge, the skyline, plus the naval station’s aircraft carriers. $; 1201 First St., Coronado; or 619/234-4111. Bay Books. Peruse through stacks of prospective beach reads at Coronado’s locally owned bookstore. $; 1029 Orange Ave., Coronado; or 619/435-0070. Emerald City. Those in need of a swimsuit upgrade can stop by this surf and skate hub, which also conveniently hosts board, wetsuit, and fin rentals. $$; 1118 Orange Ave., Coronado; or 619/435-6677. Shorelines Gallery. Check out an ever-changing collection of one-of-a-kind art, jewelry, and home goods. $$; 918 Orange Ave., Coronado. or 619/727-4080. Wag n’ Tails. Treat your furry friend to top-of-the-line dog-friendly leashes, collars, and toys at this downtown pet store. $$; 945 Orange Ave., Coronado. or 619/435.3513. 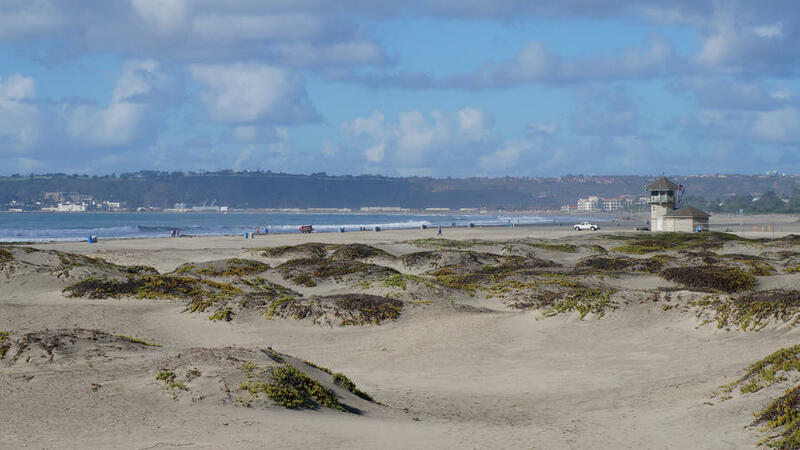 Check out our Insider guide to San Diego for fun things to do in Coronado’s neighboring city. У нашей фирмы полезный интернет-сайт , он рассказывает про www.rbt.com.ua.